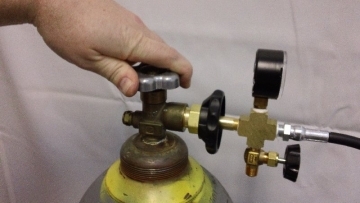 The preferred gas for pressure chamber use is welding grade nitrogen (N2) which is an inert gas and does not react with the plant sample. This has been the standard since the early 1960s. 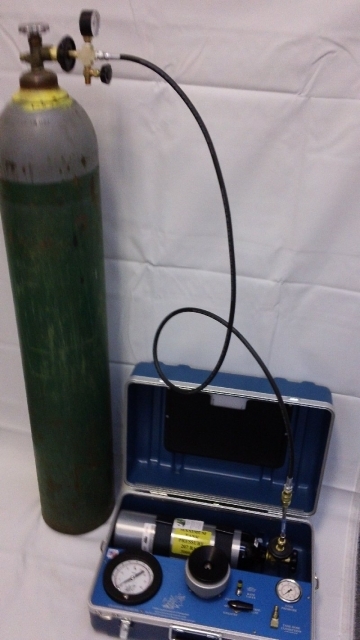 If you do not already have nitrogen, a large “Supply Tank” can normally be bought or rented from a welding or gas supply store at minimal cost. IMPORTANT – if you do not have a Model 615 but instead have a Model 610 click here for different instructions. 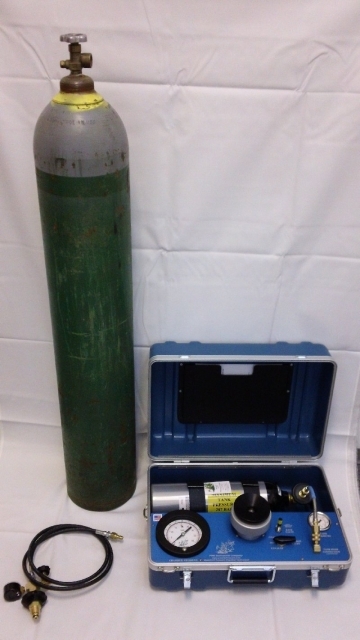 For a Portable Tank click here for instructions. 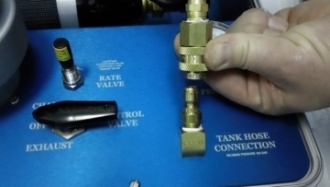 Start by opening up the Supply Tank Valve completely. You will hear the nitrogen as it fills the tank. You should take about 1-2 minutes to fill the tank. As the pressure equalizes, continue to open up the valve a little bit more. 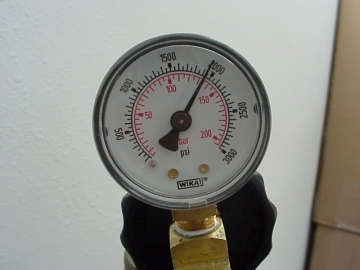 Continue this process until the pressure has equalized completely. 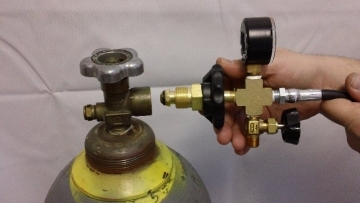 If you open the valve up too quickly and let too much gas into the tank – the valve will become HEATED and may have problems or fail. This is due to the gas compressing into the empty tank. 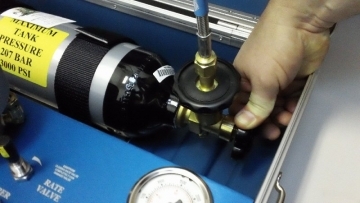 When the pressure has equalized, seal the Portable Tank first, then seal the Nurse Tank. 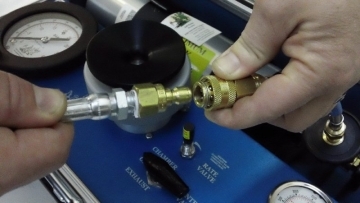 The purge valve will allow you to let the pressure escape from the hose. 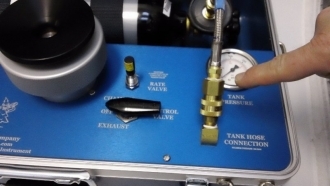 Now you can disconnect your filling hose and reconnect the 6 inch tank hose to hose connection port. Ensure that you have a good connection. You are now ready to take measurements.